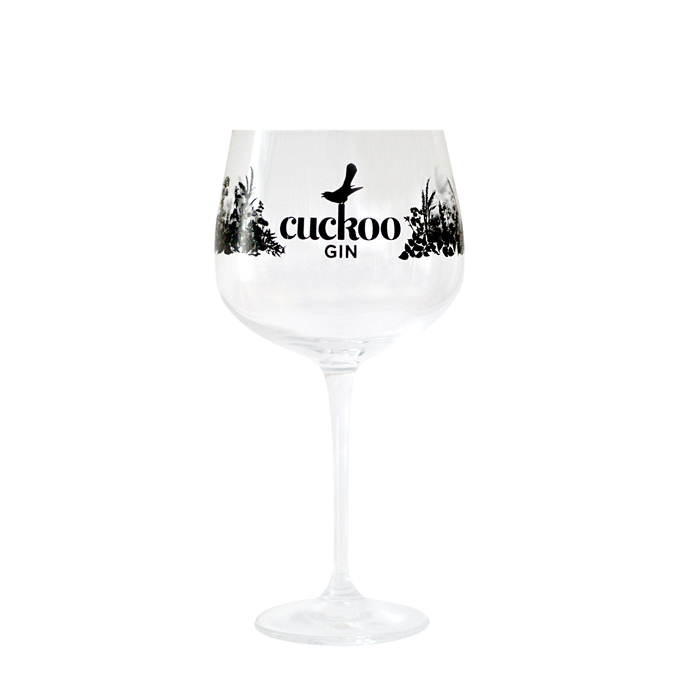 The ‘Copa de Balon’ has been specially designed to trap the aromas of gin and give your drink the perfect taste. The large bowl shape allows plenty of room for lots of ice to keep your drink cool. The unique design helps to keep the ice cubes from melting quickly and diluting your drink. The glass is said to have evolved in the kitchens of Michelin starred chefs in Spain, who originally used red wine glasses to drink gin and tonics, as the ice melted slower in their hot kitchens. 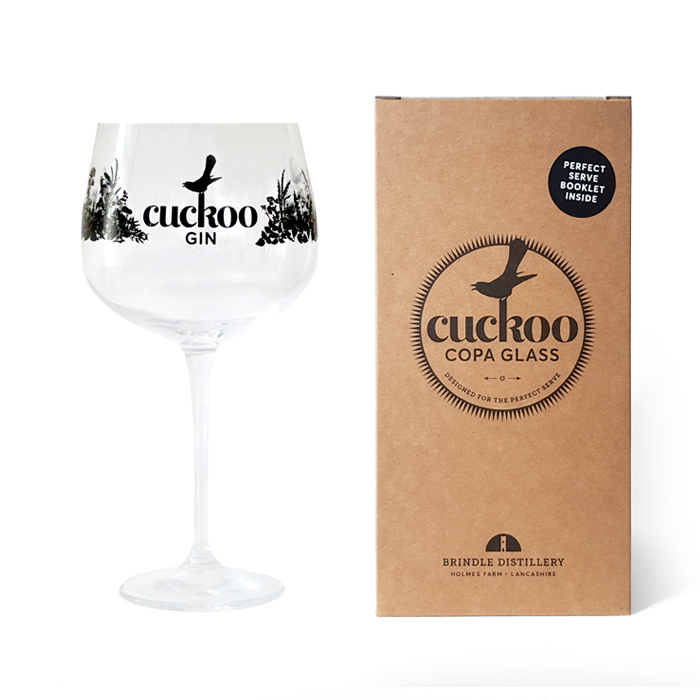 To make use of the space in the glass, we suggest pouring a 50ml measure of Cuckoo Gin and a large amount of ice, topped up with your desired mixer and garnish. 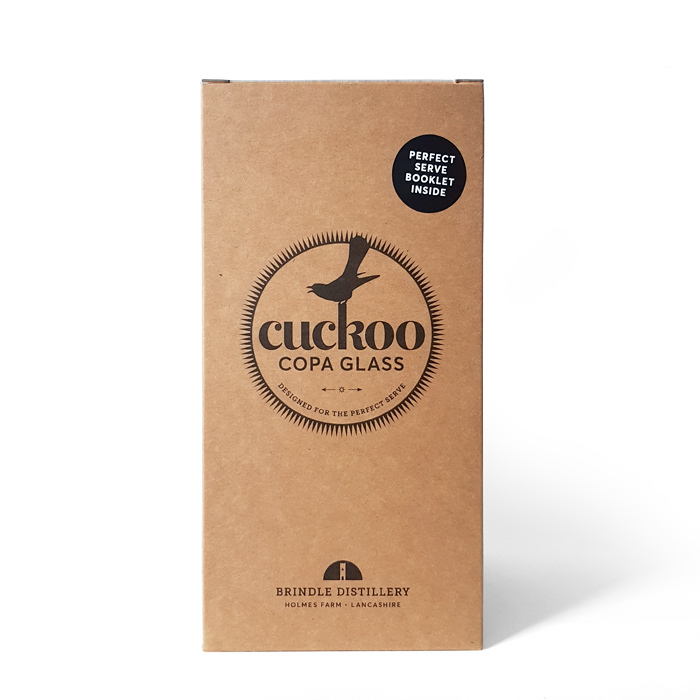 Our Copa glass links to the crops and even the weeds that grow in the fields that surround the distillery building. The printed design was sketched by a local artist and family friend from Brindle Village.